Submitted by admin on 8th Feb 2017, 09:41. Back in February 2003 Pezzottaite was big news at Tucson show. At the time it was a hot new discovery, still an unnamed mineral and the sort of new thing Tucson show thrives on. 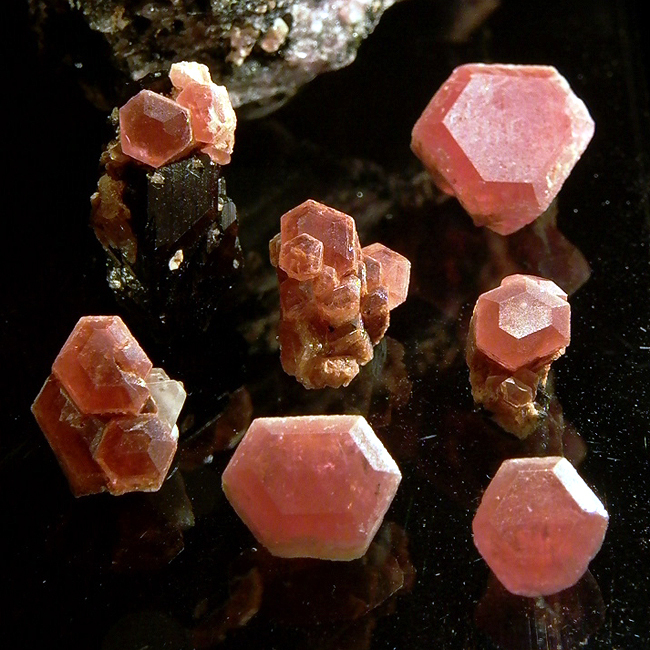 These were originally brought to Tucson by Madagascan mineral specialist, Laurent Thomas and sold as Béryl Framboise or Cesium Beryl after early investigation by the Liege Mineral Club has established some of the chemistry. Even at the time, ie before the Internet of today, news traveled fast. I happened to be in touch with friend and frequent traveler to Madagascar, Benoit Jacques who was in Madagascar at the time. Due to Tucson he was one of the few dealers in town, and his hotel room door was already under siege from people wanting to sell him these "little pink stones". As a consequence of being in the right place at the right time, Benoit was able to acquire around 7.5Kg of the mineral, albeit one of these was a 3Kg tourmaline lump covered in pink prisms! Of course the story continued on and the mineral was confirmed by Frederico Pezzotta and named after him later in 2003. The deposit and type locality at Ambatovita was collected out within weeks and no further discoveries have been in made in Madagascar, though there have been discoveries since in Afghanistan and Myanmar. Fond memories of this time and the funky pink prisms which are after all quite rare!